At Kriezelman Burton & Associates, LLC, we are committed to providing aggressive and professional legal representation and counsel in all areas of immigration and nationality law. Founded by Jeffrey A. Kriezelman in 1974, our Law Offices have expanded to representing thousands of foreign nationals nationwide in their attempts to secure temporary and permanent lawful visa status in the United States. Our firm concentrates in employment based immigration, family based immigration, litigation before the Immigration Courts, Federal Court litigation, Appellate work and non-immigrant visa processing. Our list of clientele includes Fortune 500 companies, small and medium-sized business owners, world famous artists, entertainers and athletes, doctors and academics. We also strive to represent individuals seeking to remain in the U.S. with their family members, as well as asylum-seekers seeking refuge in the United States. Our attorneys are foremost experts in the immigration field and are able to assist all individuals and businesses with their immigration needs. Although located in Downtown Chicago, our firm represents foreign nationals from all around the United States and the world. When needed, we have represented people at consulates overseas and at various immigration offices throughout the United States. We receive cases referred from law firms, foreign consulates and other immigration lawyers in the United States and from those worldwide. Our firm is dedicated to staying abreast of the ever changing United States immigration laws, and the complexities in filing for relief with the immigration service and with the Immigration Courts while we strive to find the best possible solution for our clients. 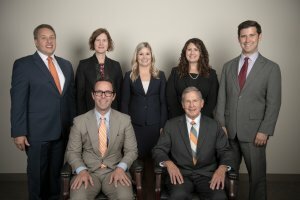 We invite you to contact our offices to schedule an appointment to learn more about us, or to discuss your case with one of our attorneys with complete confidentiality.